WebAddo offers Microsoft networking solutions. Our certified network engineers ensure that you get the most knowledgeable networking expertise available. We also provide network analysis and tuning as well as virus protection, disaster recovery, and network security. If desired, WebAddo can provide all hardware and software components. 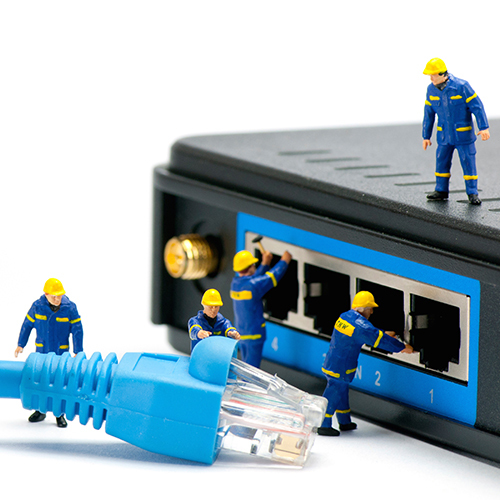 Once your network is configured, we can train your personnel to keep it operating at peak efficiency. We also provide ongoing support with our own highly trained engineers. When providing ongoing network support and a problem arises, WebAddo can remotely access your network to diagnose the problem. This provides fast, economical resolution to your networking problems. If remote access is not permitted, or if the failure cannot be determined in this manner, senior network engineers and/or hardware technicians are quickly dispatched for on-site service. In addition to our headquarters staff, WebAddo also maintains engineers in all areas throughout Georgia and the Southeast region for timely support to businesses. See how we can help your business today. Copyright © 2015 Webaddo Inc. All rights reserved.